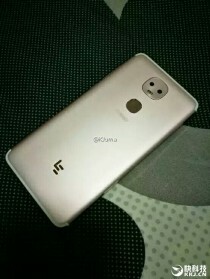 As a newcomer to an already overcrowded scene, LeEco is naturally trying to make a name for itself and stay ahead of the curb or at least adopt trends as fast as it can. Dual-camera setups seem to be coming back this year, hence, the LEX720, spotted in a benchmark listing and then a live shot last month. Today brings us a few extra stills of the device that offer a really close-up look at the slightly goofy-looking dual-camera setup. 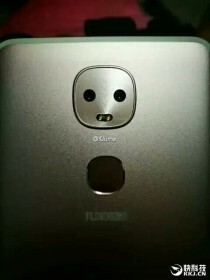 It is almost as if LeEco intentionally styled the module to resemble a Japanese tree spirit or perhaps the bender robot from Futurama. But, we digress. 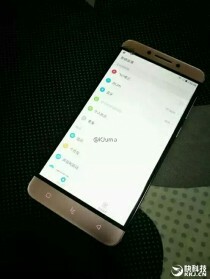 Going back to the leaked shots, they do reveal an all-metal body, quite similar to the Meizu Pro 6 in design. 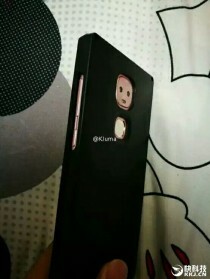 We also get a clear view of the antenna lines, hugging the top and bottom of the smartphone and a cut-out fingerprint reader. 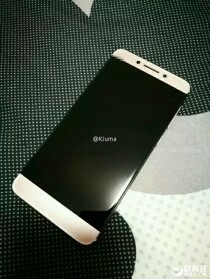 Going around to the front, we see a 2.5D screen finish on top of a 1080p panel with what look like very thin bezels. 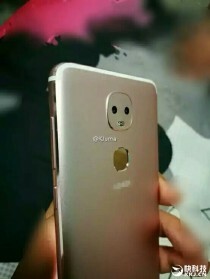 All things considered, the LEX720 (whatever its name ends up being) looks like a flagship offer, a theory further backed-up by the aforementioned benchmark leak. According to it, the handset will be powered by Qualcomm's new Snapdragon 821 SoC, which managed an impressive 154,272 score on AnTuTu. The benchmark also reported 4GB of RAM on the unit, along with 32GB of storage. However, since the LeEco Le Max 2 already has 6GB, this is likely just one of the available tiers. As for the camera setup, it allegedly includes a 16MP main snapper and an 8MP selfie one. And the OS will likely be based on Android 6.0 Marshmallow.